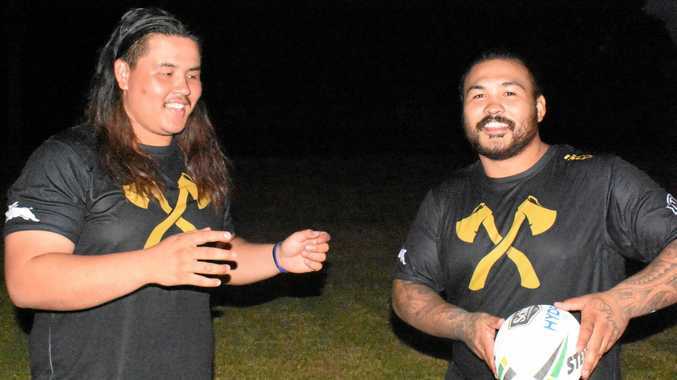 RUGBY LEAGUE: Orara Valley's forward pack has received a boost ahead of the 2019 Group 2 season with the arrival of two hungry brothers. Dylan, 23, and Ryan Jones, 19, have been training hard this summer at Coramba after making the switch from Central Charlestown in the strong Newcastle competition. The pair have international experience under their belt having played for The Philippines last year. The duo qualified to play for the Tamaraws due to their mother being born there and they said a lot of their family still live in the small Asian nation. In October, The Philippines played in a tournament against Malta, Niue and Turkey. It was the first time the brothers had played together on the same team. Ryan said it was a special feeling. "It was sitting in the back of the head during that first game together,” he said. Dylan said having his 'little' brother on the field offered a boost. "You don't get tired because you know your brother is right next to you,” he said. While the plumbers have found work at the new correctional centre near Grafton, they're currently living with the Axemen's first grade coach Col Speed. While grateful for the coach's hospitality and generosity Dylan joked that there is one down side to the living arrangement. "You've got to come to training,” he said.